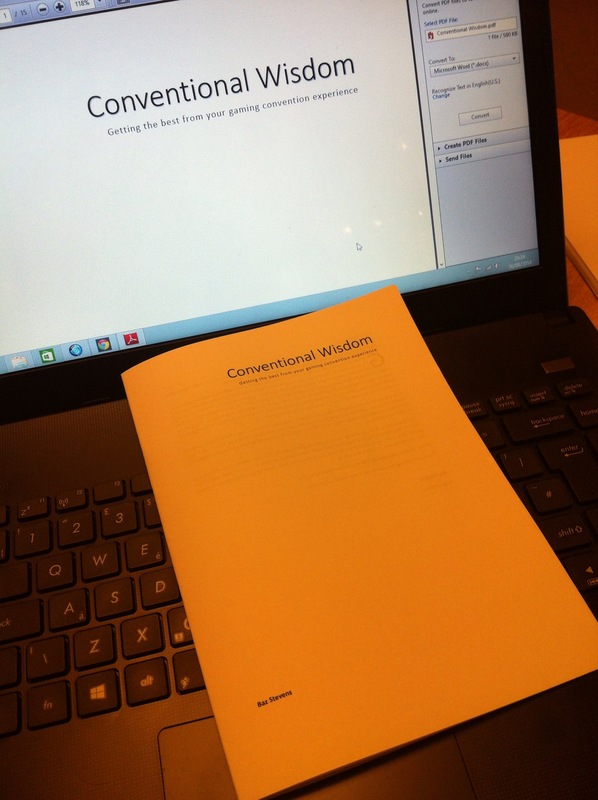 Just to see what it looks like, I printed my Conventional Wisdom PDF to a booklet. It looks and feels amazing! Sure, it needs illustrations, more layout skills, and a heavier colour cover, but right now none of that matters. I’m ridiculously pleased with this. If it contained any more wisdom and knowledge it would require stone tablets to bear its informational heft. Your very own copy awaits you mate. I’ll make it a bit more special and not sign it if you like.